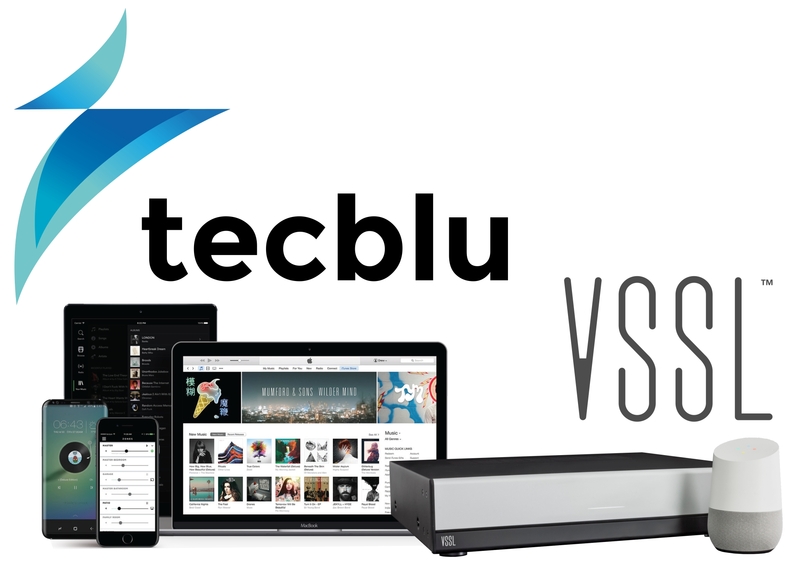 Tecblu explains how VSSL’s technology will make music in every room more rewarding for you and your customers. Tecblu is the first online warehouse dedicated to the supply and support of a wide range of web-connected (IoT) products to professional electricians and contractors. Alongside familiar names such as Philips Hue, Ring and Honeywell, Tecblu is now introducing VSSL to its product range, and with it, a very smart and easy way to install great sounding multi-room audio with Native Streaming technology. Armed exclusively with proprietary Native Streaming capability, VSSL’s multi-room player/amplifiers offer direct access to AirPlay, built-in Chromecast and Spotify Connect music platforms in up to six zones of a plug-and-play VSSL multi-room entertainment system. This means that your customers can decide what to play in any room by using the native apps on their phones, tablets and laptops, rather than having to navigate to alien third party apps. Not only do they enjoy quicker access to their music, VSSL’s native integration with Google Home enables sleek voice control of the system, so in up to six zones they can simply say, “OK Google, play music”. Installation is as effortless. Simply hook up the A.6 (50W x six zone) or A.3 (50W x three zone) to a router and connect stereo speakers (these could be discreet in-wall or ceiling models) in each zone at speaker line level. Next, use the VSSL app on iOS or Android to set up and configure room control. The VSSL zones will then appear on your customer’s favourite music apps. Matrixed inputs and outputs on the A.6 or A.3 will let them stream music from six different sources to six different rooms, or three different sources to three different rooms respectively. VSSL is easier to install than the market leader; by avoiding a dedicated app, it’s easier to use, and best of all, VSSL offers a considerable 35% cost saving per zone. Also available from Tecblu: Philips Hue, Ring, Honeywell, Ruckus, WyreStorm. Tecblu provides its services throughout the UK, Ireland and Europe. For more information please contact us at 01256 805665, sales@tecblu.co.uk.